People who have celiac disease know the condition affects more than just their digestive tracts: research shows potential impacts to the skin, brain, nervous system, and reproductive system. But there is a bit of evidence that the condition also may change — or even damage — how you perceive the world through some of your five senses. In the celiac community, it's not uncommon to hear from those who say they blame celiac disease for losses in hearing, along with problems involving the senses of taste and smell. There also are anecdotal reports from people who note their vision gets worse immediately following a glutening, but perhaps improved initially upon first going gluten-free. Few scientists have studied these potential issues, so there's little medical research to either back up or refute these claims. However, some clinicians who have studied vision and hearing in people with celiac disease have found instances where they were able to document problems they believe were related to the condition. Read on to learn what we know — and what we don't know — about how celiac disease may affect your five senses. There have been several reports in the medical literature about the loss of hearing that might be related to celiac disease. Most of these reports involve what's called "sensorineural hearing loss," which is hearing loss that results from inner ear damage or damage to the nerves that carry the signals from your ears to your brain. Sensorineural hearing loss is the most common type of hearing loss, and it can stem from illness, aging, and exposure to loud noise. Unfortunately, it can't be corrected. Some studies have found a higher rate of hearing loss among children and adults who have celiac disease when compared to similar children and adults who don't have the condition. One study, conducted in Turkey, looked at 110 children with confirmed celiac disease, along with 41 similar children without celiac, and evaluated both groups using common tests for hearing loss. The researchers concluded that subclinical (low-level) hearing loss may be present in children with celiac disease, and this "could presage more serious hearing impairments at older ages and later stages of the disease." Those researchers recommended hearing screenings for children with celiac disease in order to prevent hearing-related problems, which can include effects on child development. A smaller study, this one conducted at Catholic University of Rome, looked at 24 adults with celiac disease — six of whom were newly diagnosed and 18 of whom had been following the gluten-free diet for at least one year — along with 24 similar people without the condition. That study found hearing loss in 47 percent of those with celiac and in 9 percent of those without the condition. There was no statistical difference in hearing loss between the people who were newly diagnosed and those who had been gluten-free for some time. Those researchers hypothesized that celiac disease may be linked to some sort of immune system attack on the ears. However, not all studies have found an association between hearing loss and celiac disease. Another study in Turkey evaluated 97 children newly diagnosed with celiac disease plus 85 similar children without the condition and found the hearing functions of the children with celiac were similar to those in the non-celiac group. Some researchers believe any link between hearing loss and celiac disease is coincidental. Celiac disease is associated with Sjögren's syndrome, which involves an autoimmune attack on the glands that produce moisture in your eyes and mouth. Sjögren's syndrome can cause eye damage and even loss of vision. But there may be other links between problems with vision and celiac disease. As with hearing, there have been reports in the medical literature about individual cases showing a potential link between celiac disease and a particular type of vision loss. This type of vision loss, resulting from a condition called occipital calcification, also is linked to epilepsy. It involves abnormal deposits of calcium in the parts of your brain known as the occipital lobes. For example, in one woman with celiac disease who was following the gluten-free diet, clinicians reported "profound long-standing visual disturbance" involving a reduced field of vision, loss of color sensitivity, and "severe deficits in acuity," or sharpness of vision. An MRI of her brain showed large calcium deposits and regions of abnormal tissue in her brain. "This case study illustrates the very specific nature of cortical deficit that can arise in association with celiac disease, and highlights the importance of early dietary control for the disease," the researchers wrote. There's also some evidence of vision problems that don't involve occipital calcification. Researchers in Turkey looked at the vision of 31 children and teenagers with celiac disease, comparing them to 34 children and teens without the condition. In a series of tests, they found several areas in which the celiac group's eyes weren't as healthy as those of the non-celiac children and teens. However, a much larger study performed in Sweden found that men with celiac disease didn't have less acute vision. Anecdotally, numerous people with celiac disease have reported that their eyesight improved — in some cases, to the point where they needed weaker glasses –— once they began following the gluten-free diet. Some people also report a noticeable decrease in their sharpness of vision when they inadvertently consume gluten, which clears up when their other glutening symptoms abate. However, there's no clear evidence for these visual effects in the medical literature. As you may realize, your senses of smell and taste are highly intertwined. When you're tasting something, a good deal of what you think of as "taste" actually is the odor of the food (you can test this out the next time you have a cold and can't smell anything — the food you eat won't taste the same, and it might taste, well, dull). As with the vision improvements reported by people who are diagnosed with celiac disease and subsequently go gluten-free, it's not unusual to hear from people whose senses of both taste and smell changed once they were diagnosed and began following the gluten-free diet. In some cases, people have reported their sense of smell improving, which then makes their food taste better. In other cases, people say their sense of taste (and potentially of smell) has changed somehow, making things smell different and foods that used to taste good no longer appeal to them. 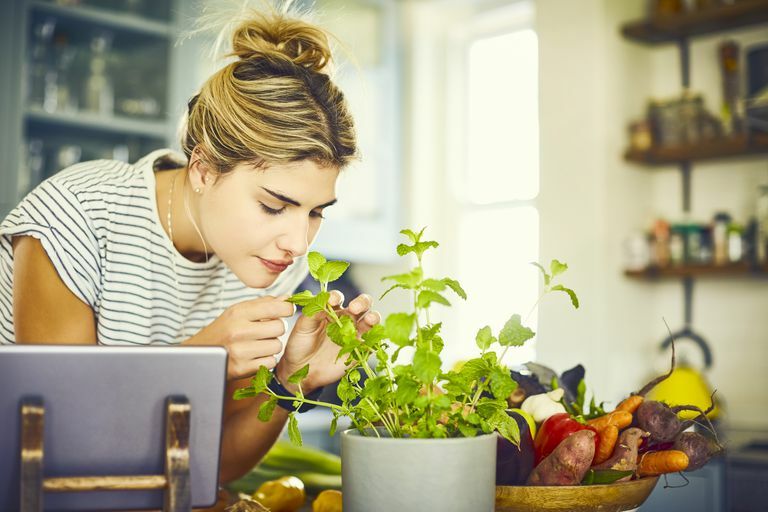 Unfortunately, it's impossible to tell what the reason for these perceived changes could be since no studies have been done that looked at alterations in the senses of smell and taste in people with celiac disease. The sense of touch involves both your skin and your nerves. When you touch something, you perceive how it feels through your skin, and your nerves bring those sensations to your brain to interpret. There's no question that celiac disease can affect both your skin and your nerves. For example, the very itchy rash dermatitis herpetiformis is the skin-based manifestation of celiac disease, and other skin conditions such as eczema and psoriasis have been linked to celiac. Celiac disease also has been linked to a loss of nerve sensation called peripheral neuropathy, which can affect the hands. Symptoms of peripheral neuropathy include numbness and tingling in the extremities, both of which could impact your sense of touch. However, there really aren't any reports involving changes in the sense of touch for people who have been diagnosed with celiac disease, and no medical studies have been done on this issue. While there has been some research on how celiac disease might affect your senses — primarily in the senses of hearing and vision — there haven't been any large, definitive studies. Therefore, it's impossible to say if there's truly a link between celiac disease and changes in your five senses. If you have celiac disease and you feel like your senses have changed since your diagnosis — perhaps your sense of smell is more acute, or you don't think you're hearing conversations as well — you should consider mentioning these changes to your doctor. It's quite possible or even likely that the changes you perceive are completely unrelated to celiac disease, and involve a different condition that needs to be addressed. Bukulmez A et al. The Evaluation of Hearing Loss in Children with Celiac Disease. International Journal of Pediatric Otorhinolaryngology. 2013 Feb;77(2):175-9. Karatepe Hashas AS et al. The Eyes of Children with Celiac Disease. Journal of the American Association of Pediatric Ophthalmology and Strabismus. 2017 Feb;21(1):48-51. Leggio L et al. Coeliac Disease and Hearing Loss: Preliminary Data on a New Possible Association. Scandinavian Journal of Gastroenterology. 2007 Oct;42(10):1209-13. Mollazadegan K et al. Coeliac Disease Does Not Affect Visual Acuity: A Study of Young Men in the Swedish National Conscripts Register. Scandinavian Journal of Gastroenterology. 2009;44(11):1304-9. Sahin Y et al. Evaluation of Hearing Loss in Pediatric Celiac Patients. International Journal of Pediatric Otorhinolaryngology. 2015 Mar;79(3):378-81.